TAC address’s the key components of functional health transformation that are commonly missed in ordinary wellness programs, and enable high value and sustaining outcomes. We do this by transforming culture from the inside out via organizational behavior and performance management structures. We align, support and integrate functional health objectives with business strategies to ensure bottom-line results. We deliver significant financial benefit – short and long-term financial annuities through worker’s compensation, health benefits, decreased care spending and functional health culture. We are assessment and metric focused – job specific clinical, risk and cultural assessments are used to develop functional health solution, baselines, progress and continuous improvement. We create positive social relationships, leverage the power of the peer, leader and community dynamics to drive powerful sustaining outcomes – inspiring individual and group purpose leads to effective behavioral change. We seamlessly integrate an evidence-based, best-in-class clinical services model. We provide dynamic and engaging education that is interactive and experiential. We respect individuals, but are willing to push beyond comfort zones to achieve positive outcomes. TAC FITness and Wellness Center provides an innovative program that helps individuals improve health and productivity by addressing all aspects of their lifestyle by offering services that can lower medical costs, increase productivity, reduce absenteeism, enhance employee morale, fewer disability days, attract and retain high-quality employees and create a positive return on your biggest asset, your employee. 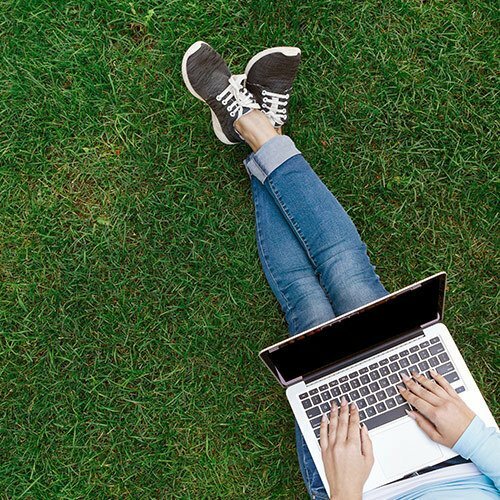 In its ongoing process, every organization’s intent is to provide healthy, cost-effective options to employees, but to also provide an effective method that promotes health and wellness employees. These programs will encourage awareness of health-related issues, improve morale and often times reduce the cost of healthcare throughout your organization. This program is intended to improve the health and wellness of employees, by addressing total health. We know that to make lasting positive changes, we must address people, not problems. Our assessment, coaching, encouragement, social support and online tracking features help employees manage their complete health. TAC will do this by providing a comprehensive implementation guide, communication templates, access to online tracking websites, Wellness Coaching and memberships to TAC FITness and Wellness Center. Together, we will help your employees manage their fitness, emotional health and personal health all in one place. It is the intent of TAC to provide a unique solution to every organization to help your employees improve their health and well-being, by offering a solution that addresses employees inability to adequately evaluate and utilize health and wellness resources in the valley that are provided to their utmost potential. Education is the key. Ignorance about the availability, adaptability, utilization of, as well as the benefits of offering and taking advantage of health and wellness programs within the workplace can often lead to their limitation of ineffectiveness. We become a part of your organization. The best companies attract the best employees. At TAC, we don’t just talk the talk, we walk it. 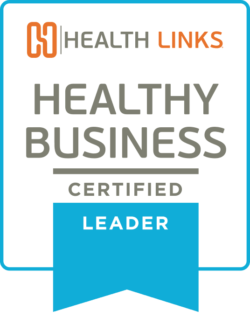 We are a business committed to worksite wellness and we are a certified Healthy Business. We have met the evidence-based benchmarks in leadership commitment employee involvement and basic resources dedicated to running worksite wellness and safety activities. TAC is also a Healthy Business Certified Partner with Health Links. Get inspired! Together, we will help your employees manage their fitness, emotional health, and personal health.